To make up the shortfall, state officials plan on cutting substance abuse and mental health treatment programs. Florida's legislators are required to perform only one job each year — pass a balanced budget — but, based on new information released last week, they blew it. The agency had warned lawmakers in February that they needed more money to cover court-ordered healthcare services and to renew the healthcare contract for inmates. Legislators ignored the warning and instead made cuts, leaving the agency with a $79 million deficit in its $2.3 billion budget, and not enough money to pay for inmate healthcare, which the state is legally required to provide. To make up the shortfall, Corrections Secretary Julie Jones announced last week she was cutting substance abuse and mental health treatment programs and eliminating re-entry and work-release services that prepare high-security inmates for life out of prison. "In order to secure a health services contractor, fund the increased pharmaceutical budget, and adjust for reductions, we've unfortunately had to make some very difficult decisions,'' Jones said in a statement. Documents released by Corrections staff show that 33 community providers will have programs cut or eliminated — including a $9.1 million, or 40 percent, reduction in mental health treatment, $1.6 million cut from transitional housing services, $7.6 million cut from substance abuse services, $6 million from "therapeutic" treatment and $2.3 million cut from re-entry centers that provide basic education. Sens. Jeff Brandes, R-St. Petersburg and Rob Bradley, R-Fleming Island, told the Times/Herald that legislative leaders are now working with the governor's office to come up with a temporary solution, such as a proposed budget amendment that would fund the treatment programs for the first part of the fiscal year to give lawmakers time to find the extra money in November, when they return for the organizational session. "If we can come up with an agreement in the next 30 days, I don't think there will be a dramatic impact to the existing providers,'' said Brandes, chairman of the Senate appropriations subcommittee that writes the prison budget. "This is a low point for the Department of Corrections but one that only the legislature can fix." During her time at the state agency, Jones has sought to expand these programs because she says she believes they are the most effective at keeping felons from returning to prison. Faced with this deficit, she dispatched staff to work-release facilities around the state, giving the privately-run facilities an ultimatum: either sign new contracts that cut programs in half or lose their contracts entirely. 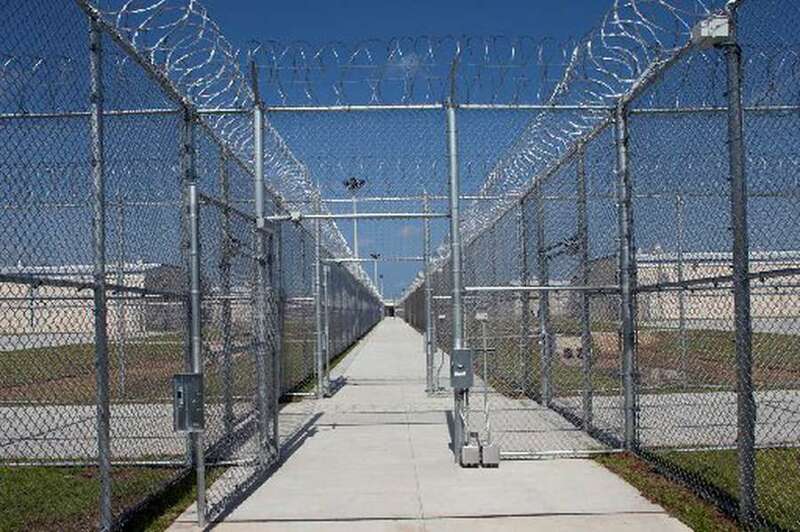 "All Floridians, offenders and non-offenders alike, are now placed at a greater risk as the department has chosen a plan to release inmates who have endured incarceration without receiving the mental health or drug treatment services they need,'' said Luke Newman, legislative chair for the Florida Association of Criminal Defense Lawyers. Legislators defended the budget, saying they had no choice because they faced so many unexpected costs. "We not only incurred the $400 million in new spending to address school safety in the aftermath of Parkland, we inherited $200 million more in Medicaid costs that were not anticipated,'' said Bradley, the Senate Appropriations Committee chairman. Despite those new expenses, Florida's budget has rebounded from the dregs of the recession a decade ago. As the national economy improved, unemployment in the state's urban areas remained at its lowest levels in years and revenues soared, leaving the state with a record $87 billion in total revenues. The governor's budget had proposed enough money to cover the gap in the prison budget. Lieutenant Gov. Carlos Lopez Cantera lobbied lawmakers to include the funding but it did not become a priority of Senate President Joe Negron, R-Stuart, and House Speaker Richard Corcoran, R-Land O'Lakes. The leaders gave budget directors the allocation for the criminal justice budget that fell short of the known need, and the governor didn't force them to change it. "I didn't think it was out of balance,'' Brandes said. "The [healthcare] contract hadn't been let yet so it's not technically out of balance." The state's contract with private healthcare provider Centurion LLC expires on June 30. Although the state has been seeking bidders for two years, only Centurion has offered to provide services. Brandes acknowledged, "there were a number of concerns that the healthcare process was going to be more expensive and that was generally well known and yet we were under-allocated $50 million to $70 million in the criminal justice budget overall,'' he said. "Under-allocation is a major issue we've been struggling to deal with." Brandes is convinced the state neither has the will nor the capacity to afford its prison population of 96,000 and has been on a mission to reform sentencing laws that aim to reduce the number of offenders in the system and provide more treatment and diversion alternatives to non-violent offenders. The proposals passed the Senate but were stopped in the House. "The simple truth is we're dealing with an evolving standard of care in the criminal justice system and a fairly static prison population that's aging,'' he said. "What I've been trying to get across for the last two years is our current budget doesn't support 96,000 inmates and guards and healthcare. We budget for 86,000." The Senate was the first to propose cutting the Corrections budget, and the House agreed, allowing funds to be steered into many criminal justice programs preferred by legislative leaders while leaving the prison budget $25 million short of the known need, essentially leaving the budget unbalanced. Brandes says the budget problems "are only going to grow over time,'' he said. "I don't think anybody contemplated we could be cutting opioid treatment beds in an opioid crisis." Rep. Chris Sprowls, R-Palm Harbor, is not as enthusiastic as Brandes about the need to shrink the prison system and instead points to the healthcare cost-drivers as the culprit. "We have to figure out how to tackle the rising cost of prison healthcare,'' he said. Brandes said the solution will take "courage." "The legislature must either begin to provide millions in additional funding for DOC or make policy decisions that will produce better outcomes,'' he said. "The status quo is unacceptable and unsustainable. We know what needs to be done." Adding to the budget woes, the Department of Corrections is under three court orders to add nearly $100 million in additional services for mentally ill inmates, disabled inmates and treatment for inmates with Hepatitis C — all lawsuits that stemmed from the state's chronic underfunding of its prisons. In an information sheet sent in February, the agency warned lawmakers of the looming threat to the healthcare contract. "The House and Senate proposed budgets provide additional health services funds, however, neither proposal provides sufficient funding to secure a medical vendor to provide constitutionally mandated health care,'' the agency wrote in the document it distributed to legislators and staff. In an interview with the Times/Herald last year, Jones lamented that a constant struggle during her tenure was "how to use resources because the legislature is stingy and these are inmates." But, she added, while they may be "just inmates, they come back home next to you and me. We need them to be productive citizens and we need to give them a chance."